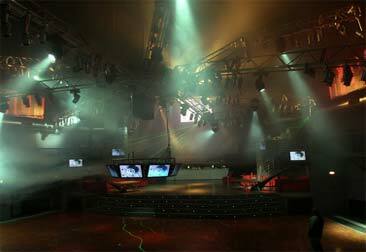 Many believe the Milanese Hollywood Rythmoteque iconic club. This is about how to Moscow's Bolshoi Theater and the Tretyakov Gallery. It so happened that for more than 20 years of Hollywood Rythmoteque (in January 2009 knocked institution 23 years), seven days a week, 12 months a year is a true mecca of entertainment for a very wide circle of admirers of music, dance and dramatic night's rest. Age of visitors to the club - from 18 to 40 years. By the way, it is easy to arrange and a private party, for example, to celebrate the anniversary colleagues and his birthday. But the hero of the occasion should be at least 21 years old. Everything that happens in Hollywood Rythmoteque finds a ready response in the press, on TV and radio. This is not surprising, because in the regular customers of the club and top models (both women and men), and the most famous actors and directors, and the best players, and tennis champions, and a popular TV show, and rock stars. In addition, Hollywood Rythmoteque always keeps the focus pretentious events show business and sport: for example, the Cannes Film Festival, the award ceremony "Oscar" in the United States, the presentation of awards European MTV, fashion shows in Paris, London and New York, Grand in "Formula 1" in Monte Carlo. All these vibrant social events are reflected in the club program. Sometimes glamorous parties cloak an actual disco and music that are quite muddled and eclectic. However, such is the policy of the institution. But even those who think it strange, is not recommended to skip party in Hollywood Rythmoteque.